When you’re ready to remodel your home or business, RoofCrafters is here to help. That’s because RoofCrafters is about more than just roofs. 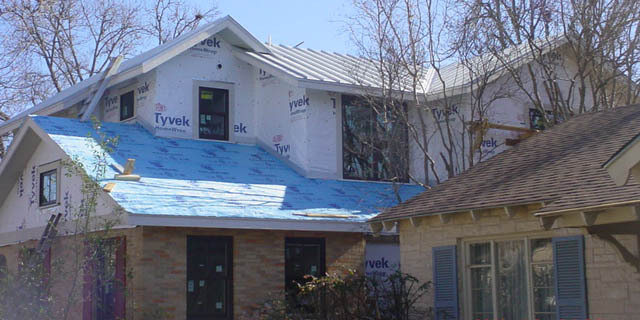 For over three decades, we’ve been renovating homes and businesses in Central Texas, too. Tell us about your project, and we’ll be in touch to give you a FREE estimate and a no-obligation design consultation. We know remodeling or renovation is a big decision. And there’s no substitute for the top quality when it comes to the appearance of your home or business. That’s why every project starts with a consultation with our Project Planners. They’ll use the latest design technology help you understand the options, and work with you to create a clear vision for your renovation project. We’re ready to handle remodeling projects of all sizes, from a kitchen or bathroom renovation to a “top-to-bottom” remodel of an entire house or commercial building. We can handle every aspect of your renovation, from concept and design to the finishing touches. Our home and commercial design experts will work with you to create the perfect space for your needs. We’re proud to say that RoofCrafters employs some of the most creative and skilled carpenters in the Central Texas area. We expect only the best from our craftspeople, because the quality of every renovation matters to us…just like it does to you. There is no “good enough” at RoofCrafters. We combine remodeling and roofing expertise in one trusted company. That means you’ll never need to look for a separate roofer to finish a remodeling job. And all those little details like waterproofing wall-to-roof connections will be taken care of the right way from the start. For over 30 years, we’ve served all of Central Texas. We appreciate the confidence Texas homeowners have placed in us, and it shows in every project we do. Call the home and commercial renovation contractors Austin, Texas trusts, and let’s talk about your next project. Our Design Experts are standing by to get you started on the home or commercial space of your dreams.